I was reading a question on the /r/linux4noobs subreddit and the question was “which distro should I use?”. When it comes to the choice of reviewing a distro running XFCE or one running KDE there is no contest. I much prefer to use XFCE over KDE. I have never been a KDE fan. With regards to the question “Which distro should I use?” the person asking the question had fairly specific criteria. There were other requirements but these were the three main ones. For point 1 I have to say that if you are omitting Ubuntu and Ubuntu based distros then you are missing a trick in this case. Xubuntu is one of the finest distributions running the XFCE desktop. Even if you forget about Xubuntu there is the XFCE version of Mint that I reviewed last week. For points 2 and 3 I instantly thought “A Debian based distro running XFCE, hmm, what about Debian itself running XFCE”. So what about Debian running XFCE? Well that review is coming up next week. I have been using SolydX on my laptop for a week now and so lets get started with the review. 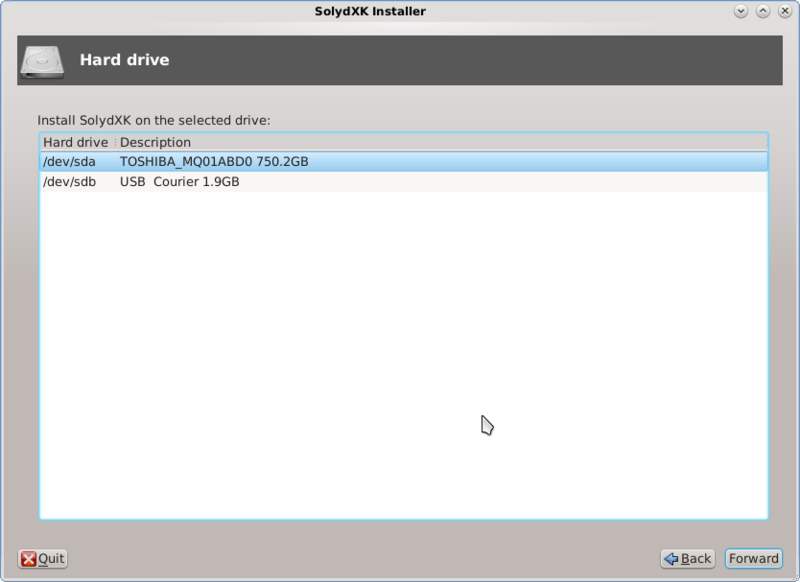 The installation procedure for SolydX is actually fairly straight forward. It doesn’t use the Ubuntu installer so for this review I will run through the installation instructions. (you will be able to see how complicated my partitioning is beginning to get). 2. Choose where you are (I have to say that the map contains a nice level of detail). 4. Enter a username, password and hostname. You can also choose your icon or take a photo of yourself. 5. Choose the disk you want to install SolydX on to. 6. Now comes the dreaded partitioning bit. Actually I find this quite easy now because I have done it so many times. Don’t be put off by my set up. As I regularly review distros I have five 50gb partitions specifically put aside so that I can switch distros in and out as required. In general for a single distro setup I recommend setting up a 30 gigabyte partition for the main distro, an 8 gb partition for swap space and the rest for home. The optimum partitioning of a disk causes many debates. The SolydX layout is fairly clean looking with a crisp looking background image and a single panel at the bottom. If you read my review of Mint XFCE edition last week then the main difference between SolydX and Mint XFCE from a look and feel point of view is the choice of menu system. 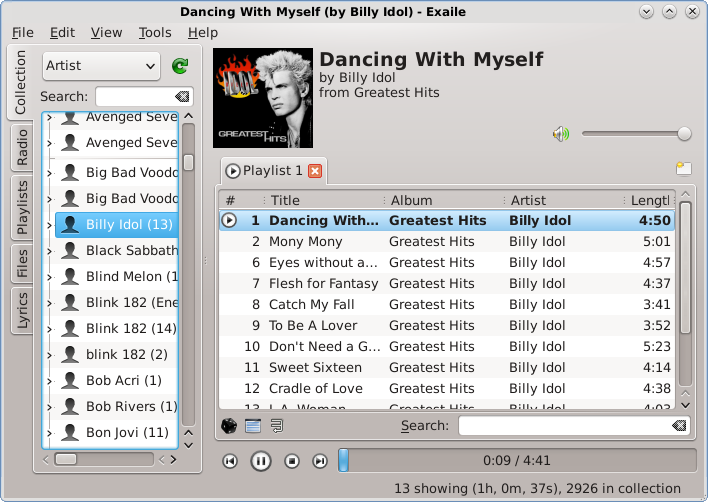 SolydX uses the standard XFCE application menu whereas Mint uses Whisker. I think that to get the best use of the XFCE desktop you need to have two panels but both SolydX and Mint have gone with a single panel. By default you are greeted with a welcome screen which you can prevent from appearing on subsequent boots by unchecking the “show at startup” box. The welcome option shows a standard welcome message and tells you that SoldyX is based on the Debian testing branch. The drivers option shows a list of drivers that have been loaded. The community option shows links to the project’s homepage, forums, tutorials and chatrooms. The contribute option shows how you can get involved or donate to the project. As mentioned before there is just one panel. The panel consists of a menu, quick launch bar and a system tray. Windows users will find this fairly familiar. Any applications that are opened appear within the panel as well. The system tray has icons for notifications, networks, power settings, a clock and a volume control. The quick launch has an icon to minimise all windows and show the desktop. To connect to the internet click on the network icon on the system tray. A list of connections will appear. Click the “properties” button on one of the connections to be able to enter the security details. This screen isn’t the most user friendly wireless configuration screen that I have seen but all I had to do was enter the key into the “Key” field and press “OK”. You can set the internet connection to automatically start when you boot. One of the selling points of SolydX is that you should be able to perform most tasks straight away without having to install extra software and with that in mind Flash works straight away. 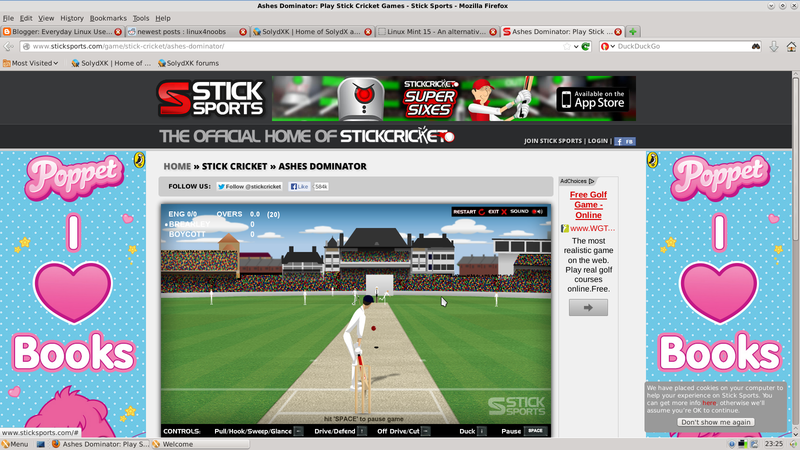 As you can see Youtube videos work straight out of the box and also my favourite Flash game “Stick Cricket” also works without issue. The music application that comes with SolydX is Exaile. It is one of the more lightweight music applications but it has all the basic features you need to listen to your tunes. More importantly the MP3s played without error. SolydX is designed to be a lightweight distribution and as such all the applications fit into this category. (Well kind of). Firstly under the graphics section there is the GIMP. This can hardly be considered a lightweight application. 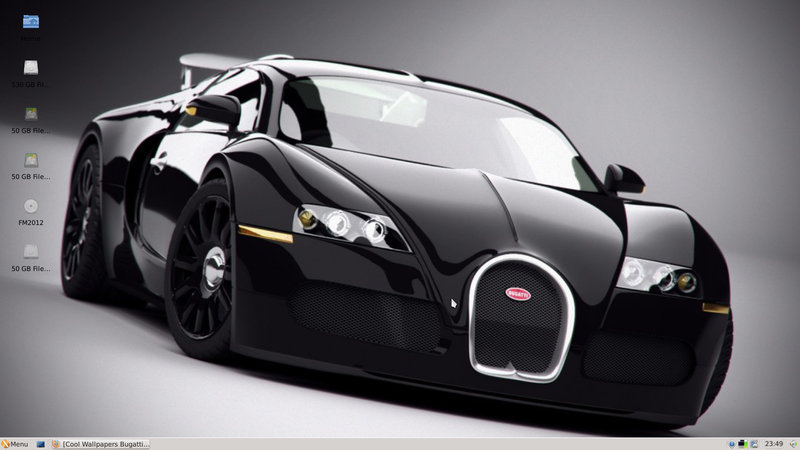 Other than that one application the rest of the software that is included can be considered lightweight. The default browser is FireFox. The email application is Thunderbird and messenging software is Pidgin. 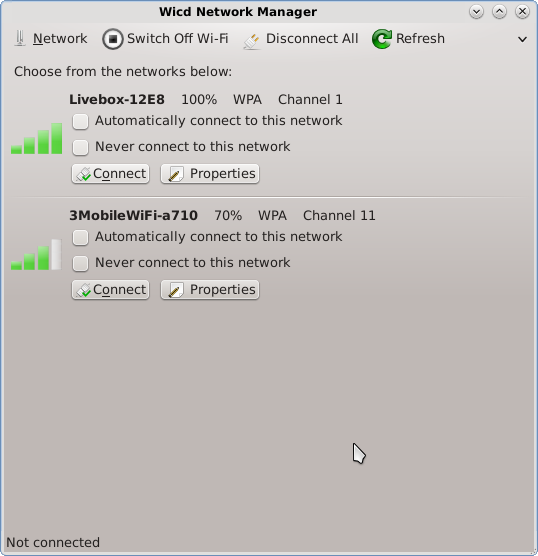 XChat is also included by default. As well as Exaile for playing audio there is the VLC player for watching videos. The office category has the stock XFCE applications Abiword and Gnumeric. These programs are fine if your sole use of office software is writing letters and doing the odd budgeting spreadsheet. SolydX doesn’t give you too much software. There are some distros that bombard you with games (which most of us would never play) and some include obscure software products. SolydX gives you just about what you need without going too far. 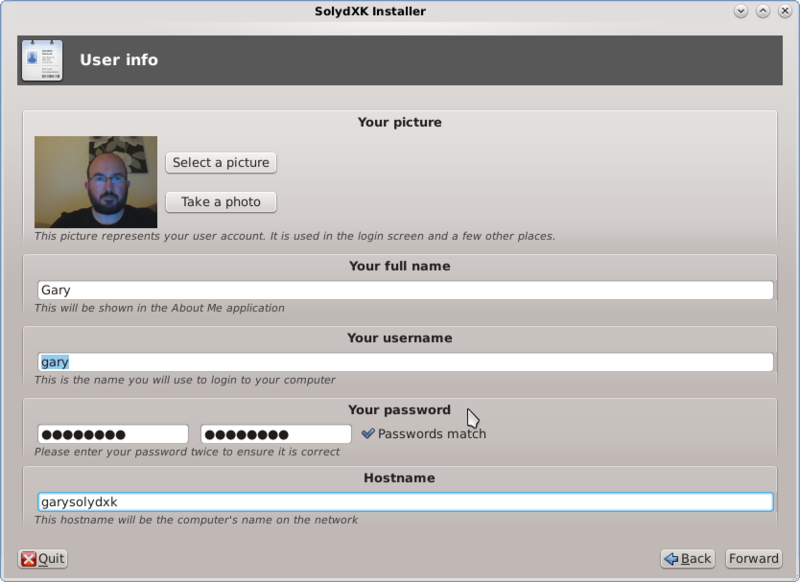 To install applications in SolydX you have to use the “Software Manager”. The “Software Manager” is the same application as the one used in Mint XFCE edition. appear with ratings next to them. To change the desktop background right click on the desktop and choose “Desktop Settings”. SolydX comes with just the one wallpaper. To add your own click the plus symbol and find the picture you want to use as wallpaper. I have already written a guide showing how to customise the XFCE desktop so if you want to add new panels etc then you can follow this guide. There is an option on the menu called “Window Manager Tweaks” which enables you to enable compositing. By enabling compositing you can then make your XFCE panels transparent. “Windows Manager Tweaks” includes the ability to specify where windows load for the first time, how workspaces are handled, the cycling of windows, accessibility options etc. 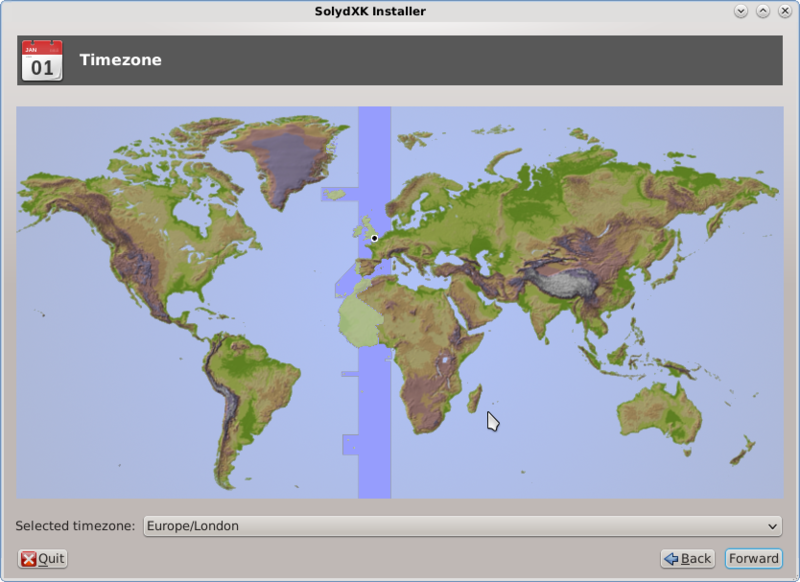 SolydX is the lightweight version of the SolydXK distribution. It is based on the Debian testing branch which means the applications stay more relevant than base Debian which runs off the “Stable” branch. SolydX is a rolling release distro which means that when you have installed it you should not have to completely upgrade in the future. Every month updates are released and if you install the updates you will always have the latest version of SolydX. SolydX has a nice clean interface and everything works out of the box so for people who just want to use their computer they can do so without having to run fiddly scripts in the terminal. I do prefer Xubuntu’s use of the XFCE panels. If SolydX is going to stick with a single panel then it would be a good idea to have the application finder as part of the quick launch bar as the menu is fairly convoluted when there are lots of applications installed. Mint gets around this problem by using a different menu system. I like the fact that SolydX isn’t bombarded with applications and that it is up to you to install what you want to install. There is just enough there by default to perform most tasks. It is also good that Flash and MP3 files play by default. I had no glaring crashes or errors appear during my time using SolydX..
Why not subscribe to the Everyday Linux User feedburner feed. Simply enter your email in the box on the right hand side. Nice review! I have been using SolydX and SolydK for about three weeks now. I have installed it on my and my kids machines and recommend it to others. It is an excellent choice for those looking for a light-weight, non-ubuntu distro. Would you or do you use it or recommend it? Thanks for reviewing SolydX. The Whisker menu is available for SolydX if you want it. Do a search at the forum for details. http://forums.solydxk.com/ The best thing about SolydX is the people at the forum. They have been extra kind and helpful. Debian 7 Wheezy gives you the choice of Gnome, KDE, XFCE, or LXDE. I have run Debian for several years. The only objection that I have to Debian is that it is not a rolling distribution so I have to reinstall Debian about every two years. 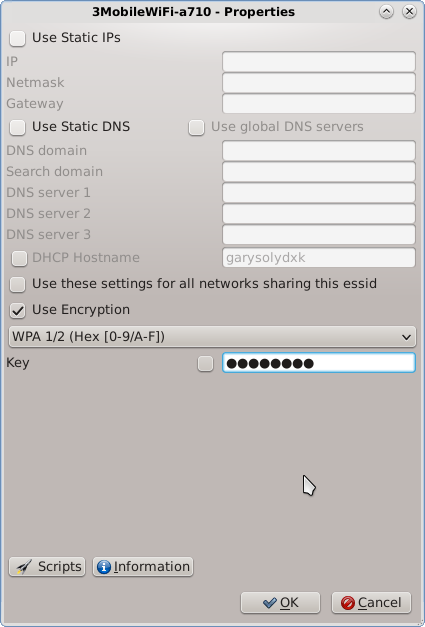 SolydXK is a rolling distribution based on Debian. I installed SolydK about a month ago and it is completely satisfactory so far. 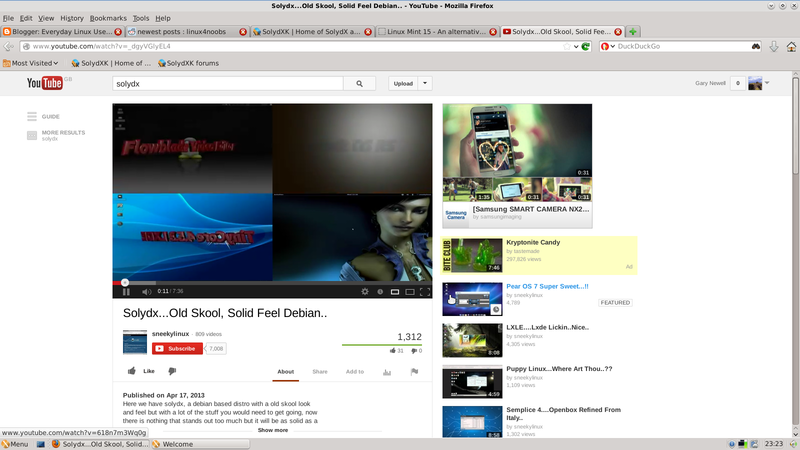 The next time I have to reinstall Debian I will switch my main OS to SolydK if it is still satisfactory. SolydK can access the entire Debian application collection so you are not just stuck with the default applications installed. Instead using the default aper as the Software Manager I suggest that you use the much more powerful program Synaptic. Debian does have two rolling versions. Debian sid is rolling. Debian testing is rolling most of the time, and becomes "frozen" a while before the next stable is out. Debian stable is not rolling. Based on Slackware 14.0 with 150 custom packages built on top. …just noob question- so is your sda8 partition your HOME partition for sda1, sda5 and sda6 ? I've never set up my HOME in separate partition before and was wondering … I would like to try it … that partition editor pic above looked like it may be a good template?!? thanks MUCH – i check by often to see what you're offering up. LM Olivia XFCE is just as snappy as my [full-install] demos of CrunchBang and SolydX. And from what I gather, that's not bad for Ubuntu based [vs Debian only based]. Yes partition 8 is my home partition. Separating your home partition means you can install and reinstall distros without losing your pictures, music etc. My setup is useful if you are a distro hopper because it has 5 partitions set up for installing different distros. For the average person that is probably too many. The Grub menu can be confusing especially if you install 2 or more ubuntu based distros. THANKS VERY MUCH for your response!!!! Does that mean that all installed OSs use the same communal HOME partition? or does the differences in each distro cause incompatible file types/uses/formats for any other distro reading/writing in same HOME file??? I appreciate you information on this -and your reviews/articles! LxPup was a really good suggestion as I remember it. I have used the same home partition like this for ages and I've not come across any issues with multiple distros sharing the same home. I am no expert at this really. What I do have though is separate home directories for each distro so that each distro saves it's settings for applications in a different place. Thanks so much Gary for your kind assistance and reviews/articles! You seem to be used to searching for applications using the keyboard. Did you notice that SolydX comes with Synapse preinstalled? Dear first anonymous person. Debian is a rolling release; however you should probably stop using debian stable to enjoy that more. Secondly, this is obviously a respin of linuxmint debian. I'm not saying it's bad. Just sort of ruins the excitement about this solydanything. The best pro i can think of though that's nice, is now you're not stuck with the mate or the cinnamon choice. Today it's a distro on it's own feet, with its own repositories, own packages and above all community. 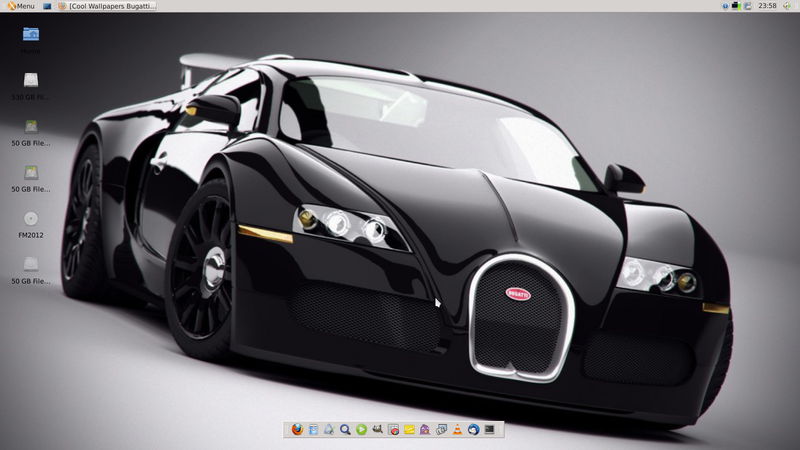 Oxygen theme and XFCE… Look nice. After using Gnome 2 for many years, now I am using XFCE after moving to Debian Wheezy. I think it is such a great desktop. 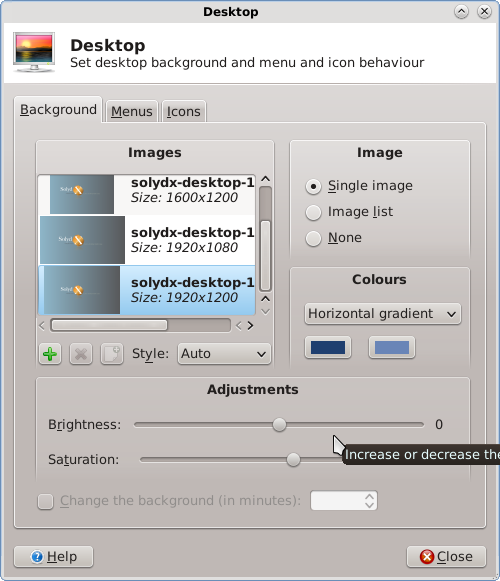 i thought solydx was a bit locked into kde-style themes and difficult to customize. solydxk will also be going stable, along with LMDE, when the current debian testing goes stable. if you want to try other debian-based distros, sparky (debian testing, rolling release) has an xfce version and is very lightweight, but my favorite debian-based distro is mx-14. it's based on antix and mepis (defunct), and is very light, stable and easy to use ( i use it on a netbook with 2GB of RAM, and it uses less than 150MB in idle-that's with compositing enabled). if you want to try arch-based, manjaro is excellent, and also comes with xfce. if you try manjaro, i recommend Manjaro Cup of Linux Edition. look it up. it's great. good luck.